It’s just 10 days until Easter. That said, let me kick-off the Easter Eggs-travaganza 2013! Every day from today until Easter, I’ll post egg decorating ideas and techniques you can try – from real eggs to paper ones, from watercolors to wax. Stay tuned and eggsiting enjoy the ride (I promise I’ll stop with the puns). Today is a simple black and white art – you just need paper and a sharpie. Let your child divide the egg into couple of parts and fill each of them with a pattern. Show them different patterns beforehand – lines, dots, swirls, spirals, etc. When they done, you can cut it out and glue it onto a black/dark colored piece of paper to help it really stand out. 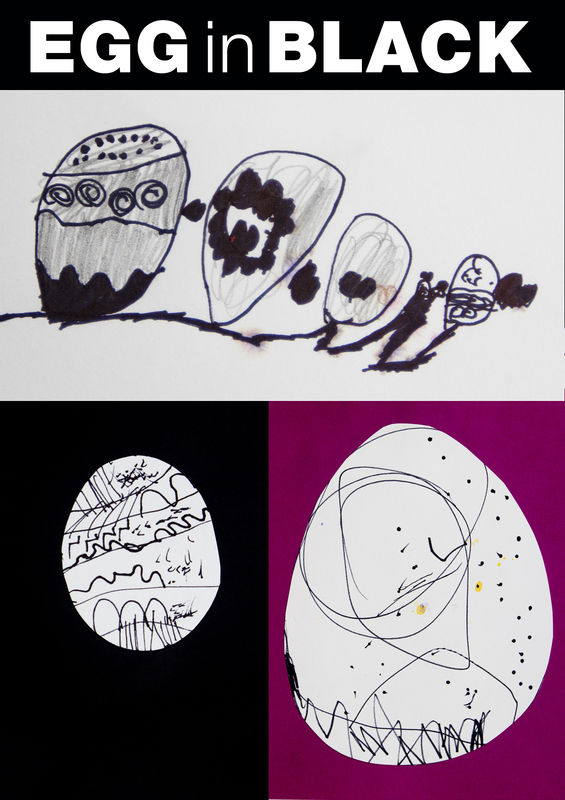 This entry was posted in Art Projects and tagged art, ArTree, craft, easter, egg, eggstravaganza, kids, project. Bookmark the permalink. ← Happy spring (art idea)!